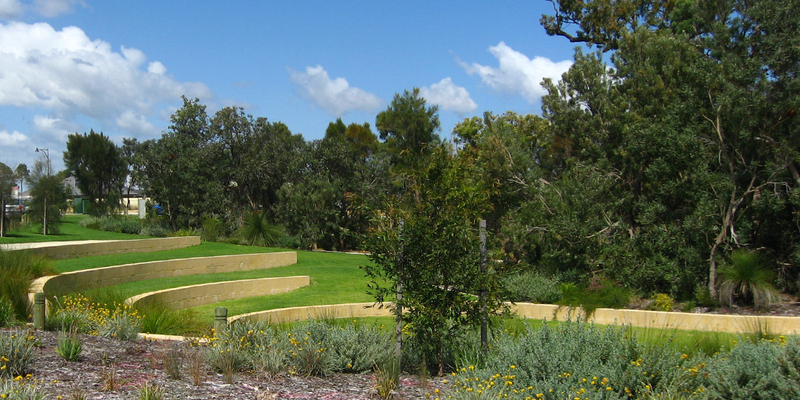 Ecoscape’s design for the Lyon Road park seeks to create a modest nature-based contemplative space for local residents of the Aubin Grove development. 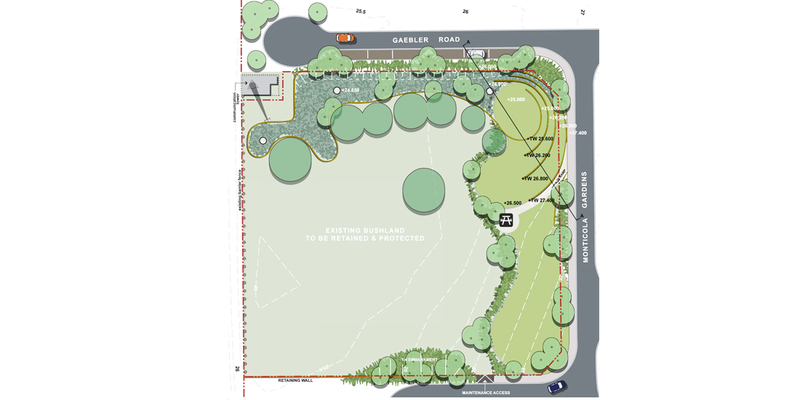 Ecoscape’s design for the Lyon Road park seeks to create a modest nature-based contemplative space for local residents of the Aubin Grove development. 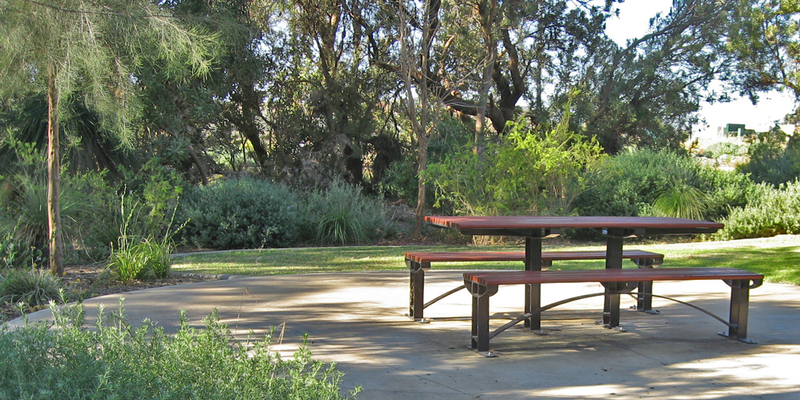 A graded area of turf is attached to a significant piece of retained bushland, considered an important asset within the suburban context. 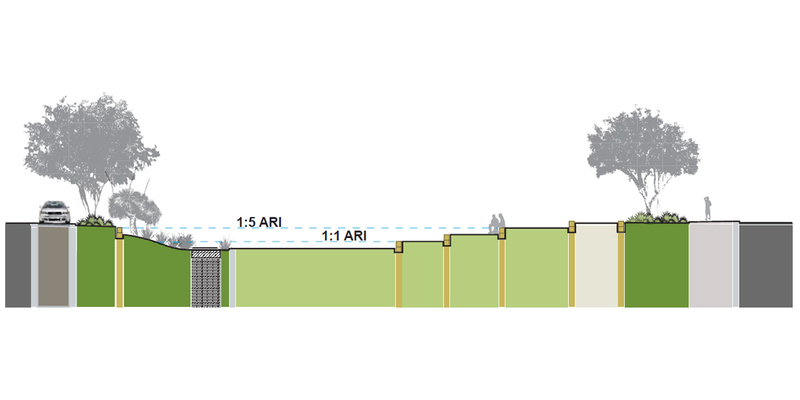 Significant level changes were needed accommodated between the road level and the retained bushland. 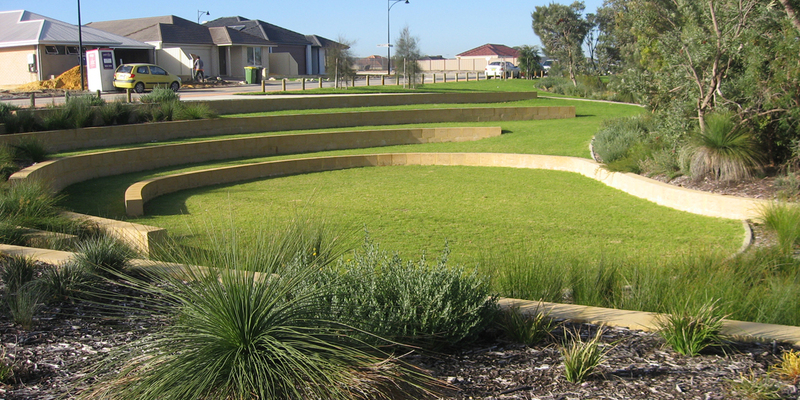 Several existing trees were retained in the park which help to reinforce the character of the local environment.A series of limestone walls accommodate the topography creating an informal amphitheater space for community events. 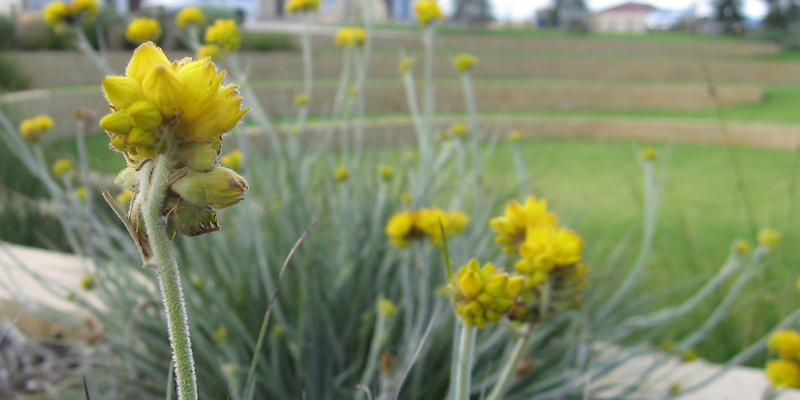 The park plays an important role as a green infrastructure asset to the adjacent development. 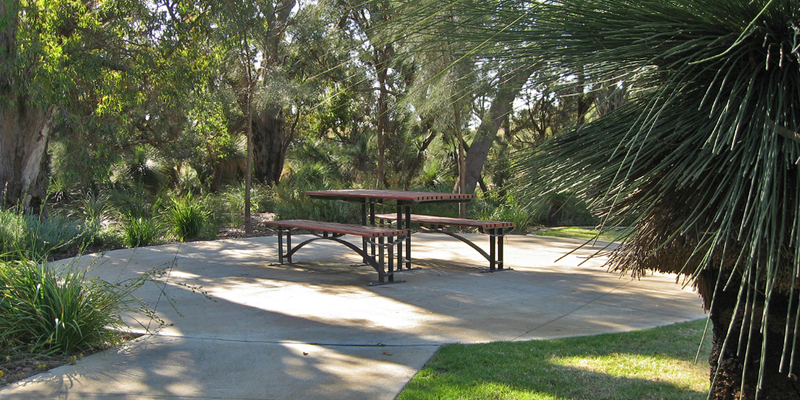 Local storm water is directed from the reserves in to a series of bubble-up pits within the park’s filtration basin. 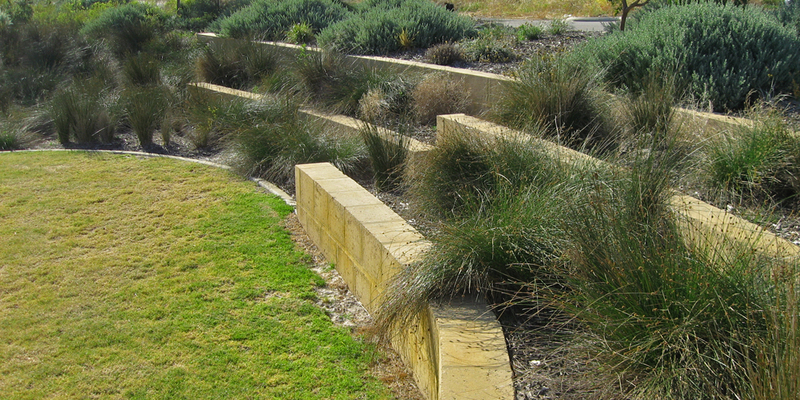 The basin is mass planted with local sedge species which help to filter out contaminants from with storm water before it drains through to the underground aquifer system.